Landau Parapan has updated its Brooklands and Natures Choice kitchen door range with two new colours – blue-black and radicchio. The Brooklands range is now available in 25 colours as standard. Natures Choice lay-on door range is now available in a choice of 21 standard colours or custom colours, as well as 13 different styles and bespoke sizes. According to Landau Parapan, painted kitchens are still a hugely popular choice with many of its customers, with a growing trend for mixing colours across cabinetry, even up to three colours. The company also offers a colour-match service for bespoke design. 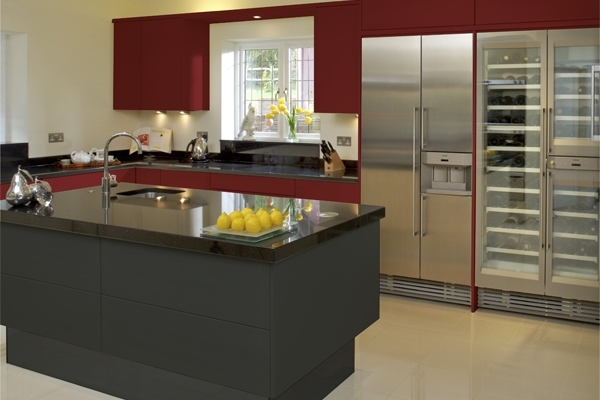 “Painted kitchens are on trend with customers looking to mix multiple colours within the kitchen. Greys are still very popular but we are seeing a moving to blues or a mix of lighter and darker colours on islands or wall units with a contrast on the base units.